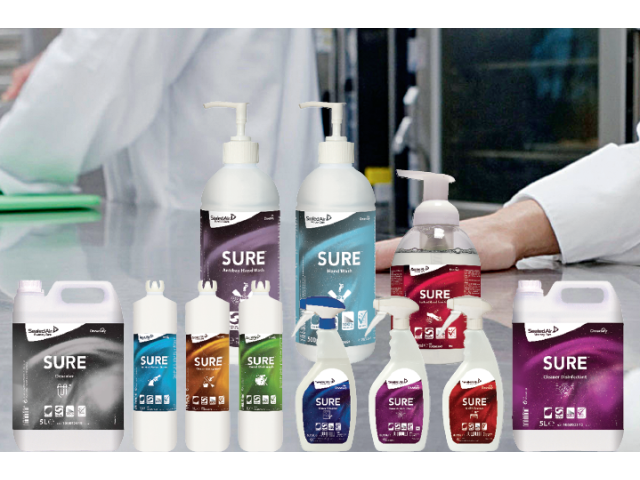 SURE Interior & Surface Cleaner is part of a unique range of plant based, 100% biodegradable professional cleaning products for all daily cleaning needs. 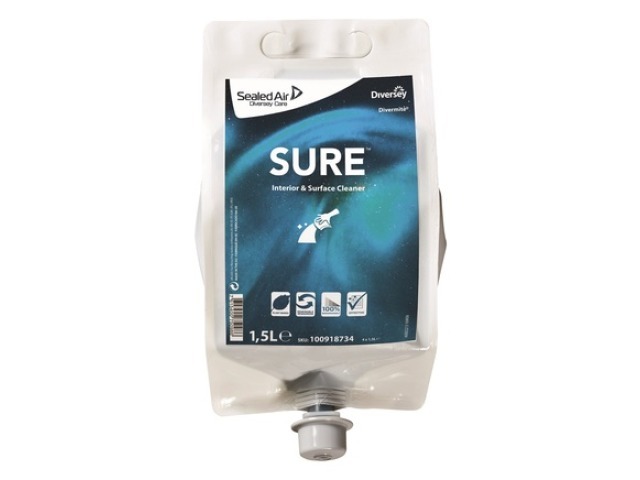 SURE Interior & Surface Cleaner is a concentrated all-purpose detergent in a pouch for cleaning of hard surfaces (also in food premises) and is suitable for floors, walls, doors, ceilings and general equipment. For dispensing accuracy SURE Interior & Surface Cleaner should be used with Divermite dispenser from Diversey Care.